Comas Trials pedal cages. Replacement single cage from Comas for bike trials pedals, ready for immediate delivery and express shipping worldwide. All things pedals from Comas, Clean, Jitsie, Monty, Bonz and all bike trials brands! 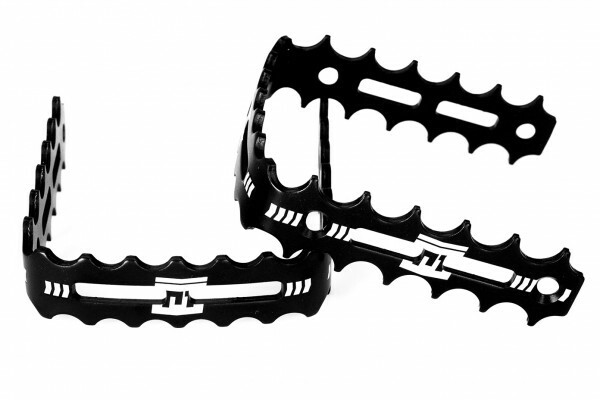 - Single-caged pedals from young brand Comas, owned by Biketrials World Champion Dani Comas. - Made of 7075-T6 aluminium alloy, capable of resisting impacts without getting bent. - Each cage comes with 6 rectangular holes that remove any excess material. - The teeth on the outer edge have a lower profile than the rest, which increases foot range of movement while riding. - Compatible with a wide variety of single-caged pedals (check the Compatibility section). 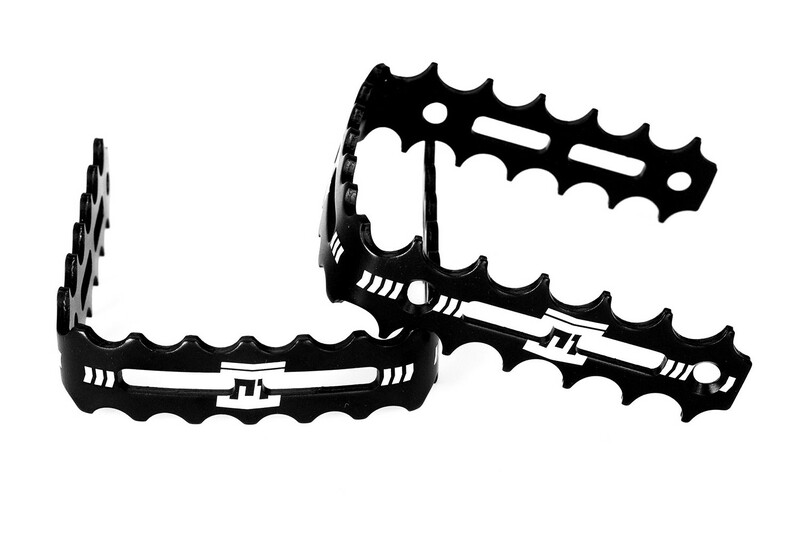 - Supplied as a pair of 2 cages, enough to replace the cages of a set of single-caged pedals. - Bolts are not included. - Single-caged pedals from Comas, Clean, Hashtagg, Try-All, Rockman, Jitsie and similar pedals with the dimensions stated below. - Double-caged Because pedals (as an outer cage).